text/image analysis, cybersecurity, and social media analysis. an MA in Linguistics (University of Manchester) and a BSc in Computation (UMIST). Antonakaki, D., Spiliotopoulos, D., Samaras, C.V., Pratikakis, P., Ioannidis, S., Fragopoulou, P. 2017. Social media analysis during political turbulence. PLOS ONE 12(10): e0186836, 1-23. Risse, T., Demidova, E., Dietze, S., Peters, W., Papailiou, N., Doka, K., Stavrakas, Y., Plachouras, V., Senellart, P., Carpentier, F., Mantrach, A., Cautis, B., Siehndel, P., Spiliotopoulos, D. 2014. The ARCOMEM Architecture for Social and Semantic Driven Web Archiving. Future Internet 6(4):688-716. Demidova, E., Barbieri, N., Dietze, S., Funk, A., Holzmann, H., Maynard, D., Papailiou, N., Peters, W., Risse, T., Spiliotopoulos, D. 2014. Analysing and Enriching Focused Semantic Web Archives for Parliament Applications. Future Internet 6(3):433-456. Hendley, R., Beale, R., Georgousopoulos, C., Vassiliou, C., Petridis, S., Moeller, R., Karstens, E., Spiliotopoulos, D. 2014. CASAM: Collaborative Human-Machine Annotation of Multimedia. Multimedia Tools and Applications 70(2):1277-1308. Spiliotopoulos, D., Xydas, G., Kouroupetroglou, G., Argyropoulos, V., Ikospentaki, K. 2010. Auditory Universal Accessibility of Data Tables using Naturally Derived Prosody Specification. Univ Access Inf Soc 9:169-183. Kouroupetroglou, G., Spiliotopoulos, D. 2009. Usability Methodologies for Real-Life Voice User Interfaces. Int. Journal of Information Technology and Web Engineering 4(4):78-94. Xydas, G., Spiliotopoulos, D., Kouroupetroglou, G. 2005. Modeling Improved Prosody Generation from High-Level Linguistically Annotated Corpora. IEICE Trans. of Inf. and Syst. E88-D(3):510-518. Spiliotopoulos, D., Kouroupetroglou, G., Stavropoulou, P. 2011. VoiceWeb: Spoken Dialogue Interfaces and Usability. In G. Alkhatib (Ed. ), Web Engineered Applications for Evolving Organizations: Emerging Knowledge, pp. 340-359, Information Science Reference Press, Pennsylvania, USA. Stavropoulou, P., Spiliotopoulos, D., Kouroupetroglou, G. 2010. Design and Development of an Automated Voice Agent: Theory and Practice Brought Together. In D. Perez-Marin and I. Pascual-Nieto (Eds. ), Conversational Agents and Natural Language Interaction: Techniques and Effective Practices, pp. 335-359, Information Science Reference Press, Pennsylvania, USA. Spiliotopoulos, D., Kouroupetroglou, G. 2010. Usability Methodologies for Spoken Dialogue Web Interfaces. In T. Spiliotopoulos, P. Papadopoulou and D. Martakos (Eds. ), Integrating Usability Engineering for Designing the Web Experience: Methodologies and Principles, Chapter 8, pp. 149-165, Information Science Reference Press, Pennsylvania, USA. Petukhova, V., Malchanau, A., Oualil, Y., Klakow, D., Luz, S., Haider, F., Campbell, N., Koryzis, D., Spiliotopoulos, D., Albert, P., Linz, N., Alexandersson, J. 2018. The Metalogue Debate Trainee Corpus: Data Collection and Annotations. In Proc. International Conference on Language Resources and Evaluation (LREC-2018), pp. 1-7, Miyazaki, Japan, 7-12 May 2018. Aivazoglou, M., Roussos, O., Ioannidis, S., Spiliotopoulos, D., Polakis, J. 2017. Reveal: Fine Grained Recommendations in a Social Ecosystem. In Proc. IEEE/ACM International Conference on Advances in Social Networks Analysis and Mining (ASONAM 2017), pp. 1-4, Sydney, Australia, 31 July - 03 August 2017. Fitsilis F., Koryzis D., Svolopoulos V., Spiliotopoulos D. 2017. Implementing Digital Parliament Innovative Concepts for Citizens and Policy Makers. In Proc. 19th International Conference in Human-Computer Interaction, LNCS 10293, pp. 154–170, Springer, Vancouver, Canada, 9-14 July 2017. Koryzis, D., Samaras, CV., Makri, E., Svolopoulos, V., Spiliotopoulos, D. 2017. Visual Cue Streams for Multimodal Dialogue Interaction. In Proc. Advances in Human Factors, Business Management, Training and Education, pp. 541-547, Florida, USA. Antonakaki, D., Spiliotopoulos, D., Samaras, C., Ioannidis, S., Fragopoulou, P. 2016. 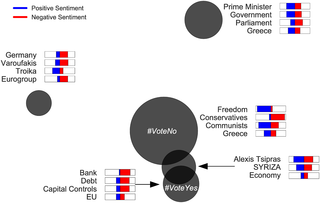 Investigating the complete corpus of Referendum and Elections tweets. In Proc. 2016 IEEE/ACM International Conference on Advances in Social Networks Analysis and Mining (ASONAM 2016), pp. 1-6, San Francisco, CA, USA, 18-21 August 2016. Spiliotopoulos, D., Antonakaki, D., Ioannidis, S., Fragopoulou, P. 2016. Motivation Effect of Social Media Posts about Well-being and Healthy Living. In Proc. 9th ACM International Conference on Pervasive Technologies Related to Assistive Environments, pp. 1-4, Corfu, Greece, 29 June - 01 July 2016. Spiliotopoulos, D., Antonakaki, D., Ioannidis, S., Fragopoulou, P. 2016. Usability Evaluation of Accessible Complex Graphs. In Proc. 15th International Conference on Computers Helping People with Special Needs, pp. 571-574, Linz, Austria, 13-15 July 2016. Koryzis, D., Svolopoulos, V., Spiliotopoulos, D. 2016. Metalogue: A Multimodal Learning Journey. In Proc. 9th ACM International Conference on Pervasive Technologies Related to Assistive Environments, pp. 1-4 Corfu, Greece, 29 June - 01 July 2016. Samaras, C., Tsioliaridou, N. A., Liaskos, C. K., Spiliotopoulos, D., Ioannidis, S. 2015. Enhancing the Trustworthiness of Service On-Demand Systems via Smart Vote Filtering. In Proc. 8th International Conference on Trust & Trustworthy Computing (TRUST 2015), pp. 88-103, Heraklion, Greece, 24-26 August, 2015. Spiliotopoulos, D., Dalianis, A., Koryzis, D. 2015. Speech Enabled Ontology Graph Navigation and Editing. In Proc. 17th International Conference on Human-Computer Interaction (HCII 2015), LNCS 9175, pp. 487-494, Los Angeles, CA, USA, 2-7 August 2015. Spiliotopoulos, D., Dalianis, A. 2014. Technically Challenging Human Factors Issues for a Policy Argumentation Approach. In Proc. 5th International Conference on Applied Human Factors and Ergonomics, pp. 1-4, Krakow, Poland, 19-23 July 2014. Alexandersson, J., Girenko, A., Spiliotopoulos, D., Petukhova, V., Klakow, D., Koryzis, D., Taatgen, N., Specht, M., Campbell, N., Aretoulaki, M., Stricker, A., Gardner, M. 2014. Metalogue: A Multiperspective Multimodal Dialogue System with Metacognitive Abilities for Highly Adaptive and Flexible Dialogue Management. In Proc. 10th Int. Conf. Intelligent Environments (IE14), pp. 365-368, 2-4 July 2014, Shanghai, China. Spiliotopoulos, D., Dalianis, A., Koryzis, D. 2014. Need driven Prototype Design for a Policy Modeling Authoring Interface. In Proc. 16th International Conference on Human-Computer Interaction (HCII 2014), pp. 162-166, Springer-Verlag Berlin Heidelberg. Spiliotopoulos, D., Petukhova, V., Koryzis, D. 2014. Evaluation Methods for Metacognitive Skills Learning Dialogue System. In Proc. 16th International Conference on Human-Computer Interaction (HCII 2014), pp. 162-166, Springer-Verlag Berlin Heidelberg. Spiliotopoulos, D., Dalianis, A., Kouroupetroglou, G. 2014. Accessibility Driven Design for Policy Argumentation Modelling, In Proc. 16th International Conference on Human-Computer Interaction (HCII 2014), pp. 101-108, Springer-Verlag Berlin Heidelberg. Spiliotopoulos, D., Koryzis, D., Schefbeck, G. 2014. Crowdsourcing and Transparency in the Legislative Process: The NOMAD Approach. In Proc. 17th Int. Symp. Legal Informatics, 20-22 February 2013, Salzburg, Austria. Petasis, G., Spiliotopoulos, D., Tsirakis, N., Tsantilas, P. 2014. Sentiment Analysis for Reputation Management: Mining the Greek Web. In Proc. 8th Hellenic Conference in Artificial Intelligence, pp. 327-340, Springer-Verlag Berlin Heidelberg. Spiliotopoulos, D., Bouwmeester, R., Proios, D. 2013. Relation Visualization for Semantically Enriched Web Content. In Proc. Communicating Complexity International Design Conference, 25-26 October 2013, Alghero, Italy. Stavropoulou, P., Spiliotopoulos, D., Kouroupetroglou, G. 2013. Where Greek TtS Fails. In Proc. 11th Int. Conf. on Greek Linguistics, 26-29 September 2013, Rhodes, Greece. Spiliotopoulos, D., Cabulea, C., Frey, D. 2013. User Interaction Issues on Searching Digitally Archived Content. In Proc. Int. Workshop on Archiving Community Memories, 6 September 2013, Lisbon, Portugal. Papatheodorou, N., Stavropoulou, P., Tsonos, D., Kouroupetroglou, G., Papageorgiou, C., Spiliotopoulos, D. 2013. On the Identification and Annotation of Emotional Properties of Verbs. In Proc. On the Move to Meaningful Internet Systems (OTM 2013), LNCS 8186: 588-597, Springer-Verlag Berlin Heidelberg. Spiliotopoulos, D., Tzoannos, E, Cabulea, C., Frey, D. 2013. Digital Archives: Semantic Search and Retrieval, In Proc. Human-Computer Interaction and Knowledge Discovery in Complex, Unstructured, Big Data, CHI-KDD 2013: 173-182, Springer-Verlag Berlin Heidelberg. Spiliotopoulos, D., Bouwmeester, R., Kouroupetroglou, G., Stavropoulou, P., Tsonos, D. 2013. Usability design and testing of an interface for search and retrieval of semantic web data. In Proc. 15th International Conference on Human-Computer Interaction (HCII 2013), pp. 575-580, Springer-Verlag Berlin Heidelberg. Spiliotopoulos, D., Stavropoulou, P., Kouroupetroglou, G., Tsonos, D. 2013. User Perception Knowledge for Socially-aware Web document Accessibility. In Proc. 15th International Conference on Human-Computer Interaction (HCII 2013), pp. 710-717, Springer-Verlag Berlin Heidelberg. Spiliotopoulos, D., Bouwmeester, R., Frey, D., Kouroupetroglou, G., Stavropoulou, P. 2013. The Iterative Design and Evaluation Approach for a Socially-aware Search and Retrieval Application for Digital Archiving. In Proc. 6th Int. Conf. Advances in Computer-Human Interactions, pp. 157-161, Nice, France, 24 February - 1 March, 2013. Spiliotopoulos, D., Schefbeck, G., Koryzis, D. 2013. Obtaining Societal Feedback on Legislative Issues through Content Extraction from the Social Web. In Proc. 16th Int. Symp. Legal Informatics, 21-23 February 2013, Salzburg, Austria. Schefbeck, G., Spiliotopoulos, D., Risse, T. 2012. The Recent Challenge in Web Archiving: Archiving the Social Web. International Council on Archives Congress, Brisbane, Australia, 20-24 August 2012. Spiliotopoulos, D., Tzoannos, E., Stavropoulou, P., Kouroupetroglou, D., Pino, A. 2012. Designing user interfaces for social media driven digital preservation and information retrieval. In Proc. Int. Conf. Computers Helping People with Special Needs, LNCS 7382, pp. 581-584. Stavropoulou, P., Spiliotopoulos, D., Kouroupetroglou, D. 2012. Resource Evaluation for Usable Speech Interfaces: Utilizing Human–Human Dialogues. In Proc. 8th International Conference on Language Resources and Evaluation, Istanbul, Turkey, 23-25 May, 2012. Del Pozo, A., Bywood, L., Georgakopoulou, Y., van Loenhout, G., Petukhova, V., Sepesy Maucec, M., Spiliotopoulos, D., Trespalacios, V., Volk, M., Way, A. 2012. SUMAT: An online service for SUbtitling by MAchine Translation. In Proc. 16th Annual Conference of the European Association for Machine Translation, Trento, Italy, 28-30 May, 2012. Stavropoulou, P., Spiliotopoulos, D., Kouroupetroglou, D. 2011. Acoustic modeling of dialogue elements for document accessibility. In Proc. 13th International Conference on Human-Computer Interaction (HCII 2011), LNCS 6768, pp. 175-184. Pino, Α., Kouroupetroglou, G., Kacorri, H., Sarantidou, A., Spiliotopoulos, D. 2010. An Open Source / Freeware Assistive Technology Software Inventory. In Proc. 12th Int. Conf. on Computers Helping People with Special Needs (ICCHP 2010), LNCS 6179, pp. 178–185 Springer-Verlag Berlin Heidelberg. Stavropoulou, P., Spiliotopoulos, D., Kouroupetroglou, G. 2010. Integrating Contrast in a Framework for Predicting Prosody. In Proc. Computational Linguistics and Intelligent Text Processing (CICLing 2010), LNCS 6008, pp. 748-758, Springer Berlin Heidelberg. Spiliotopoulos, D., Stavropoulou, P., Kouroupetroglou, G. 2009. Spoken Dialogue Interfaces: Integrating Usability. In Proc. Symposium of the Austrian HCI and Usability Engineering Group, LNCS 5889, pp. 484-499, Springer Berlin Heidelberg. Spiliotopoulos, D., Stavropoulou, P., Kouroupetroglou, G. 2009. Acoustic Rendering of Data Tables using Earcons and Prosody for Document Accessibility. In Proc. Int. Conf. on Universal Access in Human-Computer Interaction, LNAI 5616, pp. 587-596, Springer Berlin Heidelberg. Stavropoulou, P., Spiliotopoulos, D. 2009. Prosodic Realisation of Topics. In Proc. 19th Int. Symp. Theoretical and Applied Linguistics, Thesssaloniki, 3-5 April 2009, Greece. Spiliotopoulos, D., Petasis, G., Kouroupetroglou, G. 2008. A Framework for Language-Independent Analysis and Prosodic Feature Annotation of Text Corpora. In Proc. Int. Conf. Text, Speech and Dialogue (TSD 2008), LNAI 5246, pp. 517-524, Springer-Verlag Berlin Heidelberg. Spiliotopoulos, D., Petasis, G., Kouroupetroglou, G. 2005. Prosodically Enriched Text Annotation for High Quality Speech Synthesis. In Proc. Int. Conf. Speech and Computer (SPECOM-2005), 17-19 October 2005, Patras, Greece, pp. 313-316. Spiliotopoulos, D., Xydas, G., Kouroupetroglou, G. 2005. Diction Based Prosody Modeling in Table-to-Speech Synthesis. Proc. Int. Conf. Text, Speech and Dialogue (TSD 2008), LNAI 3658, pp. 294-301, Springer-Verlag Berlin Heidelberg. Spiliotopoulos, D., Xydas, G., Kouroupetroglou, G., Argyropoulos, V. 2005. Experimentation on Spoken Format of Tables in Auditory User Interfaces. In Proc. Int. Conf. Human-Computer Interaction (HCII-2005), Las Vegas, USA, 22-27 July, 2005. Xydas, G., Spiliotopoulos, D., Kouroupetroglou, G. 2004. Modeling Prosodic Structures in Linguistically Enriched Environments. In Proc. Int. Conf. Text, Speech and Dialogue (TSD 2004), LNAI 3206, pp. 521-528, Springer-Verlag Berlin Heidelberg. Xydas, G., Spiliotopoulos, D., Kouroupetroglou, G. 2003. Building Prosodic Structures in a Concept-to-Speech System. In Proc. 1st Balkan Conference on Informatics (BCI-2003), pp. 105-111, 21-23 November 2003, Thessaloniki, Greece. Xydas, G., Spiliotopoulos, D., Kouroupetroglou, G. 2003. Prosody Prediction from Linguistically Enriched Documents Based on a Machine Learning Algorithm. In Proc. Workshop on Text Processing for Modern Greek: from Symbolic to Statistical Approaches, 6th Int. Conf. Greek Linguistics (ICGL-2003), Rethymno, Crete, Greece, 18-21 September 2003. Xydas, G., Spiliotopoulos, D., Kouroupetroglou, G. 2003. Modelling Emphatic Events from Non-Speech Aware Documents in Speech Based User Interfaces. In Proc. Int. Conf. Human-Computer Interaction (HCII-2003), pp. 806-810, 22-27 June, 2003, Crete, Greece. Androutsopoulos, I., Spiliotopoulos, D., Stamatakis, K., Dimitromanolaki, A., Karkaletsis, V., Spyropoulos, C.D. 2002. Symbolic Authoring for Multilingual Natural Language Generation. In Proc. Hellenic Conference on Artificial Intelligence, LNAI 2308, pp. 131-142, Springer-Verlag Berlin Heidelberg. Spiliotopoulos, D., Androutsopoulos, I., Spyropoulos, C.D. 2001. Human-Robot Interaction Based on Spoken Natural Language Dialogue. In Proc. European Workshop on Service and Humanoid Robots (ServiceRob-2001), Santorini, Greece, 25-27 June 2001. Spiliotopoulos, D., Androutsopoulos, I. 2000. A Survey of Spoken Dialogue Management Techniques. Technical Report DEMO 2000/15, NCSR “Demokritos”. © Copyright. All rights reserved. 2017.